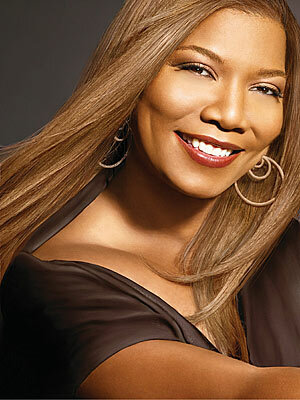 Don't you just love Queen Latifah? I recently saw her in a commercial talking about her goal of getting to an 'active' weight. While Kirstie Alley and Valerie Bertinelli proudly announced the amount of pounds lost, Queen Latifah's emphasis is not on a number, but on the percentage of body weight lost and her increased level of energy. Latifah is also promoting the preventative benefits of healthy weight loss. “If you lose 5 to 7 percent of your weight," says the music and movie star, "you cut the chances of type 2 diabetes in half.” That's an especially important aspect of Latifah's goal of spokeswoman; her grandmother recently died of diabetes. Since Latifah has always been happy with her self-proclaimed image as a 'voluptuous' woman, her main focus as the new Jenny Craig representative is to emphasize overall wellness. "I know people wonder [why I wanted to lose weight with Jenny Craig], because I’m quite comfortable with myself," says Latifah. "I’m trying to be an inspiration to people who just want to get healthy." I love Queen Latifh, and even more so now! Great post!! Dana is a role model for women and girls everywhere. I think that healthy weight loss is important. Weight loss to quickly is often short term. I think that Queen Latifh's attitude is spot on and i wish her luck with her weight loss journey.